The Museum of London has an internationally important collection of medieval pilgrim souvenirs in its reserve collection (and also in its Archaeological Archive). Most of the souvenirs are in the form of badges but there are also ampullae (small bottles for holy water), figurines, pendants and other trinkets. Pilgrim souvenirs were bought by medieval pilgrims as mementoes of the pious journeys they took to visit shrines in England and abroad. These objects were also believed to protect their wearers from harm and to heal the sick. Before specially-made souvenirs were manufactured, pilgrims would often chip pieces off holy shrines, which could lead to irreparable damage. The solution was the make cheap metal souvenirs, which were mass-produced in moulds. Records show that pilgrim badges cost about a penny for a dozen by the 15th century. 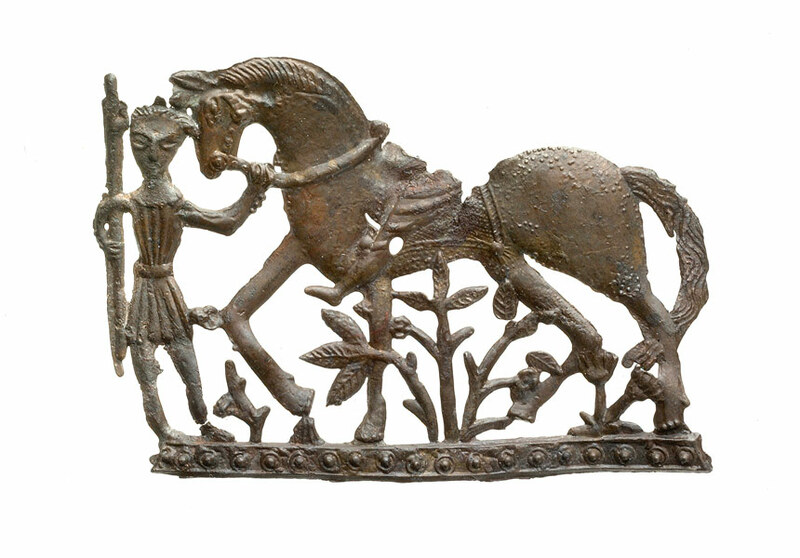 In the second half of the 12th century in Western Europe pewter ampullae and other metal souvenirs started to be made. Badges became the most popular type of souvenir from the 14th century onwards. Souvenirs often depicted the saint or the relic at the shrine. They were sold by specialist makers from stalls outside the church door or from shops lining the nearby streets. Pilgrims attached the badges to their hats or cloaks or wore them round their necks. Badges could even be sown into the pages of prayer books. When they got them home pilgrims could nail their souvenirs up as an aid to worship (some have nail holes in that suggest this). Many badges have been found on the banks of the River Thames where they have been preserved in the waterlogged soil. They may have been thrown away as rubbish or accidentally lost. Some people have suggested that badges were ritually thrown into the river but this theory is now disputed. The most important aspect of the badges and other souvenirs was that they should be touched against the saint?s shrine or relics to absorb some of the shrine?s virtue and thus be able to carry out miraculous acts like healing sickness. Badges could be given to sick family members or dipped in wine or water which would then cure ailments when drunk. Some badges contained mirrors so that pilgrims could catch the reflection of holy relics in them at busy shrines where it was not possible to physically touch the relics. The most common pilgrim souvenirs found in London are from Thomas Becket?s shrine at Canterbury Cathedral. This shrine had an international reputation and was particularly popular for Londoners as Becket had been born in London. Canterbury was only four days walk from London and if pilgrims travelled on horseback they could make a return journey there within a week. However, souvenirs have been found in London from shrines in France, Germany, Italy and Spain, showing how well-travelled some London pilgrims were.